Born: September 16, 1856 in Sandwich Ma. Died: December 24, 1942 in Bourne Ma. at 86 yrs, 3 mos, 8 d.
Where Lived: 405 Barlows Landing Rd. in Pocasset Ma. 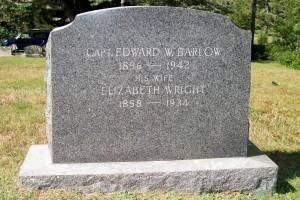 Married: December 19, 1878 in Sandwich Ma. 1. 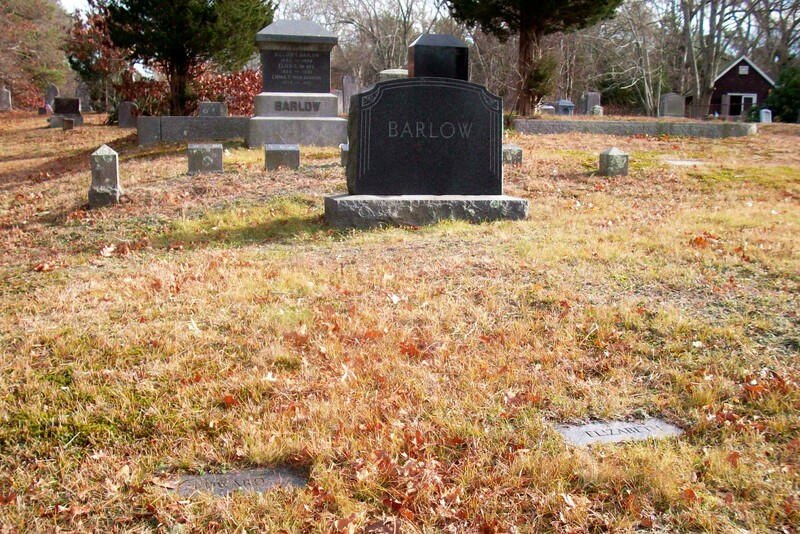 Franklin Edward Barlow; (October 10, 1881 – July 4, 1966); Married Rita Mae Corbett (1895 – 1979) (Newell C. Corbett & Alberta (–)) in Bourne Ma. on January 15, 1916; Rita married (2) Lloyd Melville Hendrick, Jr. (1891 – 1979) (Lloyd Melville Hendrick & Emma M. (–)) in Bourne Ma. on February 18, 1967; Franklin & Lloyd are buried in Pocasset Cemetery. 2. Susan Barlow Phinney Perry; (December 25, 1883 – March 1977); Married (1) Nathan Chatman Phinney (1879 – 1937) (John Adams Phinney & Rosilla/Rose C. Wright) in Bourne Ma. on September 11, 1904 & married (2) Carl Emerson Perry (1888 – 1974) (? & Sarah Elizabeth Perry) in Bourne Ma. on July 28, 1927; Susan & Carl are buried in Pocasset Cemetery. 3. 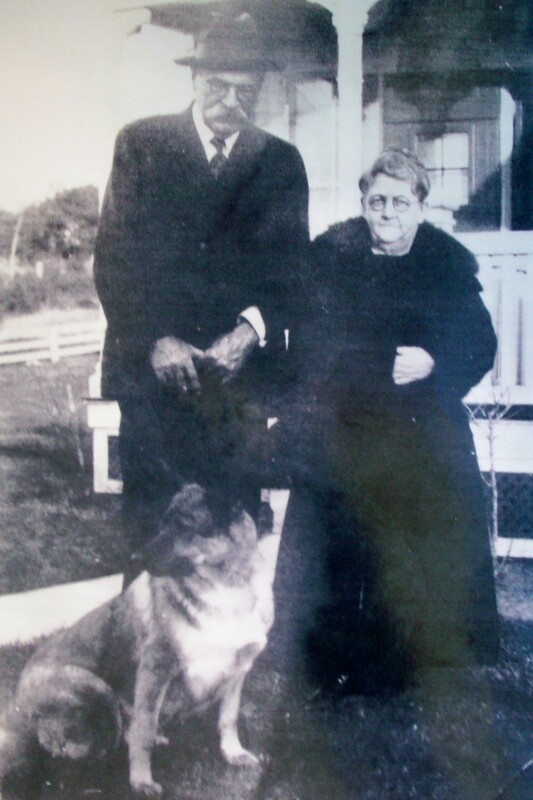 Sarah Maria Barlow Phinney; (October 6, 1885 – May 31, 1957); Married Roland Sumner Phinney (1878 – 1939) (Levi Lincoln Phinney & Harriet/Hattie L. Kendrick) in 1908; Sarah & Roland are buried in Pocasset Cemetery. 4. 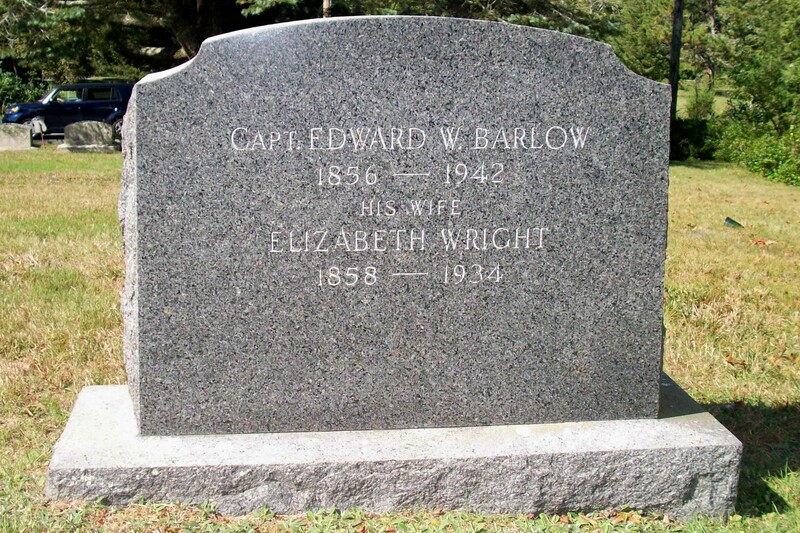 Alden Wright Barlow, Capt., WW l; (October 11, 1887 – October 28, 1964); Married Rose C. Landers (1882 – 1968) (Galon Goodspeed Landers & Minnie Warren Alexander) in Bourne Ma. on December 22, 1910; Alden & Rose are buried in Pocasset Cemetery. 5. Julian Wilton Barlow, Capt. ; (November 8, 1889 – July 25, 1963); Married Florence Laura Jager (1892 – 1966) (Charles A. Jager & Hattie C. (–)) in Long Island N.Y. on February 6, 1936; Julian & Florence are buried in Pocasset Cemetery.